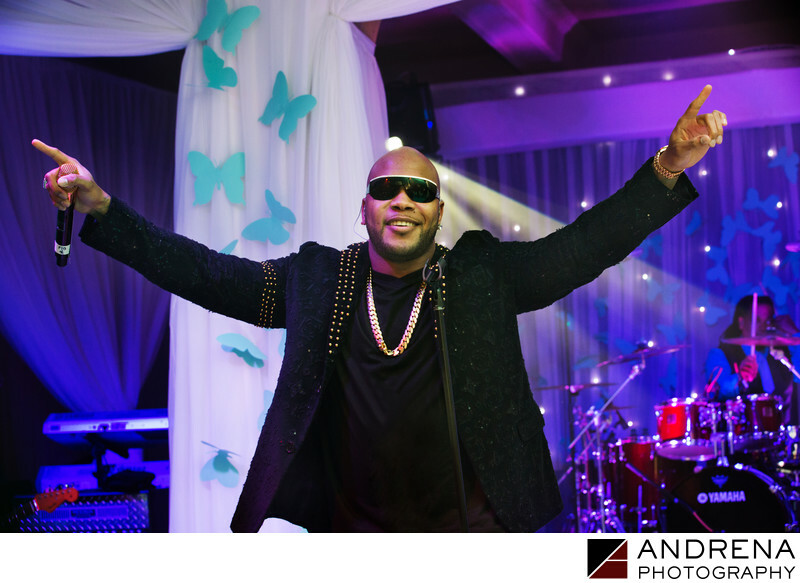 We are skilled at photographing celebrity events of all kinds, as well as at capturing just the right moments, as shown in this party photo of musician Flo Rida. Known for his many Top 40 hits, Flo Rida is the consummate showman and performer. He was also gracious and kind during the post-performance meet and greet, which is one key hallmark of professionalism. We love when performers give us a money shot like this.